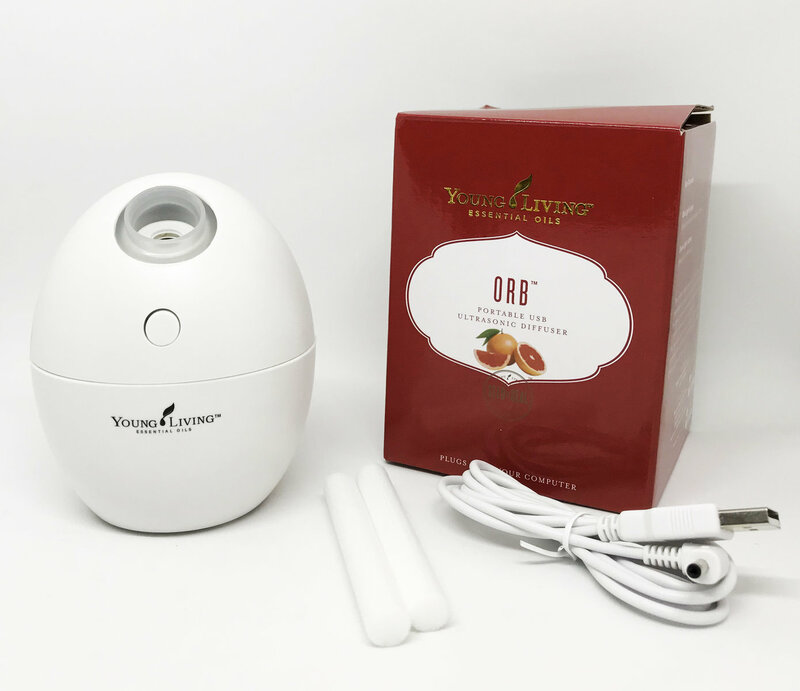 The new addition to my essential oil collection craze is this portable diffuser from Young Living, their USB Orb ™Diffuser. I got this because I realized that I am a little lazy haha. I find it a bit hassle to bring my Dewdrop Diffuser wherever we are at home. I'm also afraid that I might drop it any time. So I thought I needed another diffuser so I can diffuse my oils wherever we are chilling in our house. But I didn't want another big one. Sometimes I just want to diffuse a blend of oils for a few days, then make another blend for the next days. 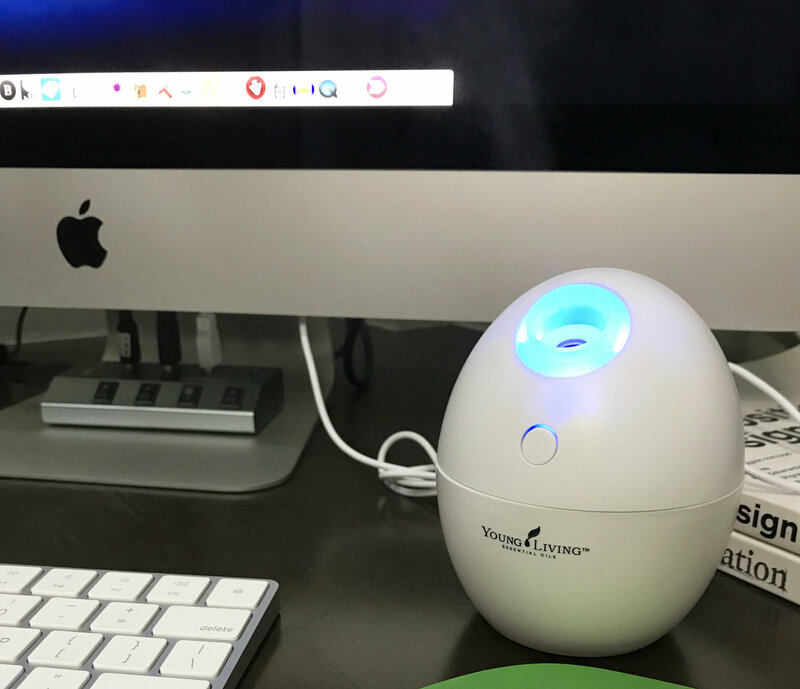 With the Dewdrop Diffuser, I always have a bit of blend left in it so I can't make the recipes that I wanted to try at that moment. It's really compact and portable. It's just around 4 inches tall. It's also very easy to use. It has just one button. Press once for the blue light (intermittent diffusion), press again for the green light (continuous diffusion), and last press to turn it off. This can diffuse for a total of about 4 and a half hours. 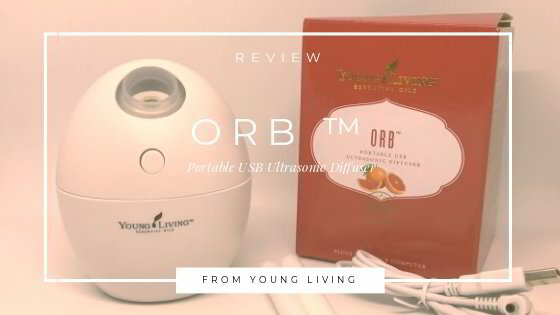 In the box, you'll have the Orb ™Diffuser, the cord and 2 extra wicks. There's also a manual inside. Its design is very simple, too. What's also great about it is it's spill proof so really, really great for traveling.